Make sure you loaded a compatible borderless paper size and type, then follow the instructions below for your operating system. Open a photo or document for printing. Select the print command in your application. Note: You may need to select a print icon on your screen, the Print option in the File menu, or another command. See your application's help utility for details. If necessary, select your product name as the printer you want to use. Note: You may also need to select Properties or Preferences to view your print settings. 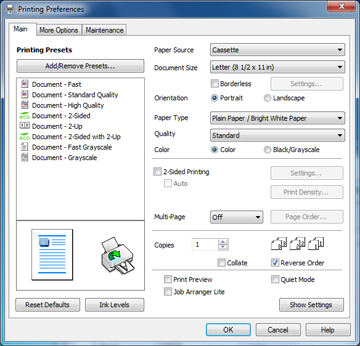 Note: You must select a compatible borderless paper type and size to print borderlessly. Check the borderless paper compatibility list for details. You cannot print borderless with a custom paper size. Select your product as the Printer setting. Note: The print window may look different, depending on the version of Mac OS X and the application you are using. Select Print Settings from the pop-up menu. 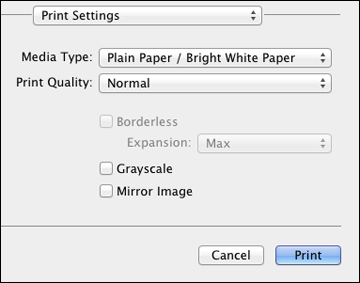 Select the Borderless checkbox or a paper size with a Borderless option. 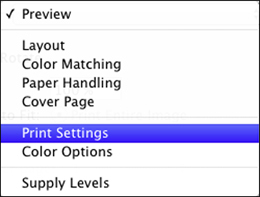 You can also select a custom setting to create a custom paper size. 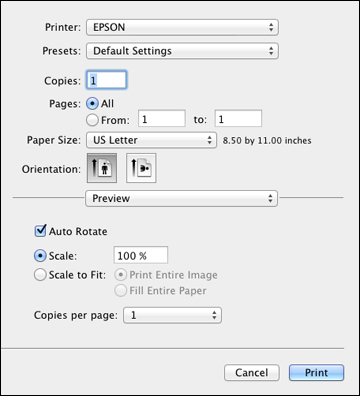 Note: You must select a compatible borderless paper type and size to print borderlessly. Check the borderless paper compatibility list below for details.